My Lead System Pro Review - Good Business or Another Scam? Welcome to My Lead System Pro Review! 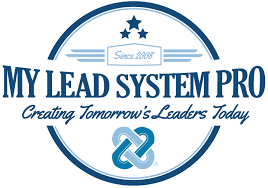 My Lead System Pro (MLSP) is a company that claims to provide the best MLM (Multi-Level Marketing) training tools for MLM marketers. I took some interest in the company a while ago, and after studying how it works decided to review it for anyone who may want to understand how it operates. I am in no way affiliated with the company; hence this review will be as unbiased as possible. This company was founded by Norbert Orlewicz, Brian Fanale, and Todd Schlomer in 2008. They claim to provide the best MLM (Multi-Level Marketing) training tools for MLM marketers. The company’s concept is around Attraction Marketing, where instead of looking for people to join you, people look for you to join in your opportunity. The company teaches you how to promote itself to other MLM marketers and people looking for home-based businesses using different strategies. MLSP University –It costs $49.97 a month. This is the standard membership package, which doesn’t have many features. When you purchase MLSP Mastery, however, you will be required to purchase upgrades to access more advanced training. MLSP gives you a 30-day money back guarantee on both MLSP University and MLSP Mastery packages. The company has a lot of training but has many upsells too. For example, the MLSP Mastery plan does not get you access to everything; you have to purchase upgrades to get more training. You are asked to upgrade to MLSP Training Library, Sound Traffic Mojo, and Attraction Marketing Intensive. You can purchase MLSP Training Library in installments if you cannot afford the one-off fee, but it is more expensive. This was created by Dian Hochman, an MLSP member. He goes into more detail on Attraction Marketing that isn’t available in the regular Mastery membership. There’s not much in these videos, hey are just long and do not get to the point. It was created by two MLSP members, Mark Harbert and Frank Marino. This product brings leads to your website through music. This product is a little bit confusing as to how it works, and they do not go into much details about it. Each member with a recurring monthly subscription is worth a referral point value. However, they will only count towards the referral point value when they pay their first full-month fee for any of the two membership levels. You should have 10 referral points, with a minimum of 5 that have active accounts. You get MLSP Partner Leader recognition on their website’s leadership pages and an opportunity to submit your testimonial to the MLSP sales pages. You should have 25 referral points, with a minimum of 13 that have active accounts. You get MLSP Pro Leader recognition on their website’s leadership pages and 5 Domain Credits. You should have 50 referral points, with a minimum of 25 that have active accounts. You get MLSP Industry Leader recognition on their website’s leadership pages, 5 additional Domain Credits, 35% commissions on your product sales, and the opportunity to be selected for the Master Marketers Team (MMT). You should have 100 referral points, with a minimum of 50 that have active accounts. You get MLSP Master Leader recognition on their website’s leadership pages, unlimited Domain Credits, 40% commissions on your product sales, and the opportunity to be selected for the Executive Mastermind Team (EMT). You should have 200 referral points, with a minimum of 100 that have active accounts. You get MLSP Global Leader recognition on their website’s leadership pages, unlimited Domain Credits, 45% commissions on your product sales, 2nd tier commissions (5%) of the MLSP purchase price, and the opportunity to be selected for the Executive Mastermind Team (EMT). You should have 500 referral points, with a minimum of 250 that have active accounts (10 Level 1 members, 5 Level 2 members and 2 Level 3 members). You get MLSP Galaxy Leader recognition on their website’s leadership pages, unlimited Domain Credits, 45% commissions on your product sales, 2nd tier commissions (10%) of the MLSP purchase price, and the opportunity to be selected for the Executive Mastermind Team (EMT). You should have 1,000 referral points, with a minimum of 500 that have active accounts (10 Level 2 members, 5 Level 3 members, 2 Level 4 members and 1 Level 5 member). You get MLSP Universal Leader recognition on their website’s leadership pages, unlimited Domain Credits, 50% commissions on your product sales, 2nd tier commissions (15%) of the MLSP purchase price, a luxury car lease (a 2-year lease valued at $24,000) and a cash prize of $5,000. At the University Level, you get a 30% commission on your product sales and new member recruitment. Here, you get 100% commission on your product sales. If you recruit a new member to the company, you earn $100. They do not have an elaborate compensation plan because they claim to not be a business opportunity, but a revolutionary training and education platform to help you build your business like a pro. While MLSP is not a scam and trains you on MLM marketing, it is a very expensive program, and especially for anyone who is starting out in the MLM business. It is also not suitable for anyone who does not have a product to sell. Overall, you are better off spending your money elsewhere, as there are other companies that can train you for much less, and without as many upsells.